BEECHMONT -- Herbert Haskins Jr., 77, of Beechmont died Saturday, Sept. 18, 2010, at Muhlenberg Community Hospital in Greenville. He was a retired coal miner, member of Richardson Chapel General Baptist Church and an Army veteran. Survivors include his wife, June English Haskins; a son, Charles Winters; a brother, Gabe Haskins; and a sister, Louise Drake. 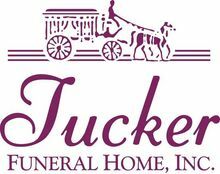 Services: 2 p.m. Tuesday at Tucker Beechmont Funeral Home. Burial: Old Jackson Cemetery. Visitation: After 5:30 p.m. today at the funeral home. Create An Online Memorial For Herbert Haskins, Jr.